Three episodes into its sixth season, AMC’s The Walking Dead is already outdoing itself with plot twists, cliffhangers, and plenty of the un-dead. After the end of season five and the Grimes group’s re-settlement in Virginia, The Walking Dead returns to Alexandria, where hoards of walkers and other survivors threaten the safety of the idyllic, walled-off community. Season five introduced us to tensions within the Alexandria community; between the original inhabitants of the neighborhood, used to safety and shelter from the outside world within their walls, and the band of survivors led by Rick, who have been hardened by a life spent on the run. A distrust was apparent, and this element continues into season six, where we see disputes between the members of Rick’s group and the Alexandria residents. These aren’t the only problems the characters face now though, as the ever-present threat of walkers persists and the mysterious “Wolves” group of survivors jeopardizes their safety. Although confusing in its continual bouncing back and forth between the past and present, the season’s opener focuses on the group’s efforts at luring a herd of walkers away from their new home. Risky in its magnitude and intricacy, the plan they formulate makes any viewer uneasy, and throughout the first few episodes a feeling of dread mounts. Our favorite characters are up against thousands of walkers, which isn’t anything new, and yet the naivety of the Alexandria residents as well as the fact that the season has only begun makes it all seem as if things the show is about to see some major changes. This is only bolstered by the appearance of the “Wolves”; a band of survivors who seem bent on the destruction of the community. Least to say, the start of the season is full of deaths, almost to the point where you ask who will be left when it’s all over. Even Rick seems in danger at the end of the third episode, and in a rare moment actually scared, and another main character is tragically presumed dead (although the fan theories abound). The show has given a strong start, and is maybe proving to fans, in a George R. R. Martin-esque way, that no one is safe. 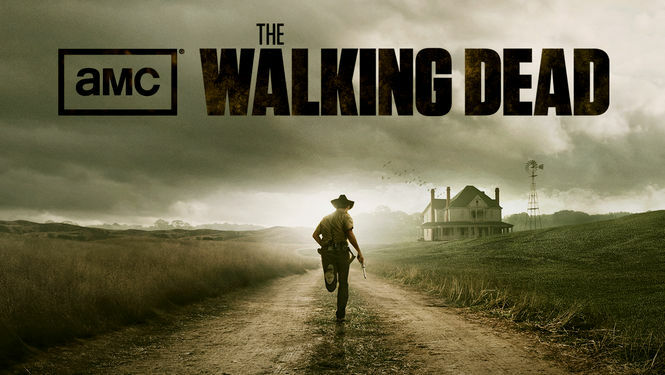 Already renewed for yet another year, The Walking Dead is sure to offer more big twists with its sixth season. The comics have enough material to make the show last at least 20 seasons, and although one has to ask how much can actually happen in Kirkman’s post-apocalyptic, zombie-infested world, the characters and plot remain engaging, and the seasons continue to deliver. With the recent release of the first series of Fear the Walking Dead as well, a prequel to the original series, and the ever loyal fan base, the show and franchise are still going strong. The bleak start of the popular series’ sixth season is oddly promising with new characters, setting, and a variety of threatening elements. Everything seems to be going wrong, but a huge pull will be to see how the characters attempt to overcome yet more obstacles in their fight for survival. You know they have a good chance, though, as bad as it seems. After all, they’ve made it this far. Previous articleAre 'trendy lefties' dominating campus discourse?